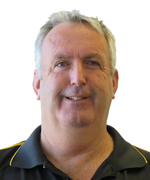 Dave Stapleton is your local Hawkes Bay Inspector. Dave is a Licensed Building Practitioner and has been in the building industry for over 35 years, giving him a wealth of knowledge in building and construction. Dave has built and renovated hundreds of homes in New Zealand, so he has the expertise you need and can trust. And, having inspected over 500 homes in his career, you can be sure there is nothing he hasn’t seen! Dave owns NZ House Surveys Hawkes Bay himself, so you know when you book a building inspection or methamphetamine test with him you are dealing directly with the business owner. When he’s not inspecting homes around Hawkes Bay, Dave enjoys spending time with his wife, Anne, visiting local cafes and enjoying the beautiful Hawkes Bay sunshine. Call Dave today on (06) 877 5BAY or 027 453 7110 to book your next pre-purchase inspection or methamphetamine test. Bayview, Clive, Eskdale, Hastings, Havelock North, Napier, Norsewood, Ocean Beach, Ongaonga, Otane, Porangahau, Takapau, Taradale, Te Awanga, Tikokino, Tutira, Waimaramara, Waipakurau, Waipawa, Central Hawkes Bay Coast, Elsthorpe, Mangaorapa, Onga Onga, Ormondville, Otane, Porangahau, Takapau, Tikokino, Akina, Bridge Pa, Camberley, Clive, Crownthorpe, Dartmoor, Fernhill, Flaxmere, Fremley, Haumoana, Karamu, Kuripapaungo, Longlands, Mahora, Mangateretere, Maraekakaho, Mayfair, Omahu, Otamauri, Pakipaki, Pakowhai, Poukawa, Parkvale, Puketapu, Puketitiri, Raureka, Roys Hill, Saint Leonards, Sherenden, Tangoio, Te Awanga, Te Haroto, Tomoana, Tutira, Twyford, Waimarama, Waipatu, Waiwhare, Whakatu, Whanawhana, Woolwich, Ahuriri, Awatoto, Greenmeadows, Bay View, Jervoistown, Maraenui, Marewa, Meeanee, Onekawa, Pandora, Pirimai, Tamatea, Te Awa, Westshore, Kotemaori, Mahia, Nuhaka, Morere, Ruakituri, Raupunga, Tuai and Ohuka. NZ House Surveys Hawkes Bay are pleased to offer Pre purchase inspections, building reports and methamphetamine testing to home owners and home buyers in the Hawkes Bay and Central Hawkes Bay regions. All our building inspections include plumbing and electrical checks, moisture checks with easy to understand building reports. We believe 4 eyes are better than 2, so we send two inspectors to your property. This way you know nothing is going to be missed, and our house inspections are comprehensive so you can be sure you’re getting all the information you need. Call Dave on (06) 877 5BAY to book your house inspection today. "Dave has been so incredibly helpful, easy to deal with, reliable and most importantly comprehensive! "Highly recommend NZ House Surveys Hawkes Bay. Dave responded to my enquiry very quickly and followed up with a phone call to explain the different packages. We needed a report urgently - Dave made himself available and provided us with a very thorough and clear report with a summary highlighting important areas to note. Without this report we wouldn't have known the fireplace in our new home wasn't consented which would have led to major insurance issues down the track. The silver package is definitely worth while. Excellent service." Emma D.